The Cloud Patrol robot is powered by our real-time, multimodal deep learning based AI Cloud platform (HARIX) that enables robotic intelligence in many areas. These include self navigation, auto obstacle avoidance, face/car/license plate recognition, natural language processing (two-way conversation with backend security center), and community surveillance. It will reduce security staffs’ workload, and patrol residential communities, industrial/office parks, parking lots, public parks, and shopping malls. 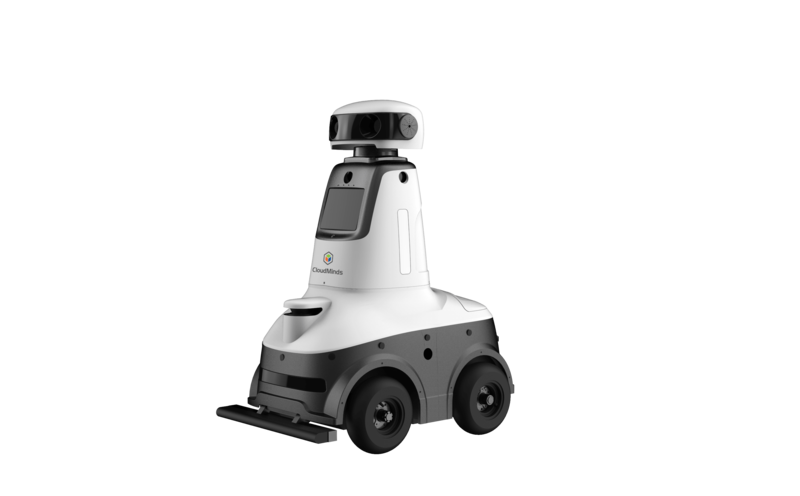 With multiple sensor and AI technology, the Cloud Patrol robot is capable of patrol map generation, autonomous route planning, auto obstacle avoidance and auto navigation. It is equipped with multiple sensors, and conducts real-time monitoring of temperature, humidity, smoke, and fire alerts, all in real-time.